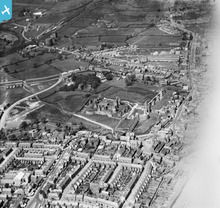 [WPW032444] General view of Caerphilly, showing castle, oblique aerial view. 5"x4" black and white glass plate negative. Cant agree more, grew up alongside it, and my grandfather (and the Maquis of Bute) restored it in the 1930s. 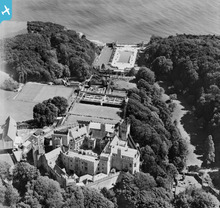 [WPW045742] View of St Donats Castle showing castle, grounds and swimming pool, oblique aerial view. 5"x4" black and white glass plate negative. 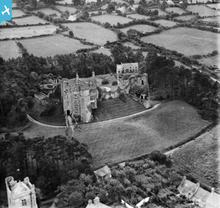 [WPW040066] View of Newport castle, Pembrokeshire, oblique aerial view. 5"x4" black and white glass plate negative. 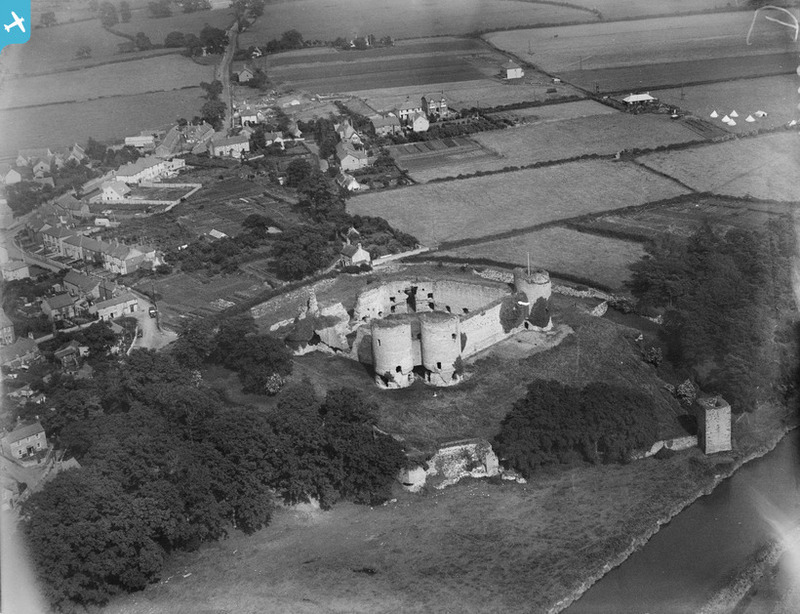 Lovely view of Newport Castle, it's a privately owned Castle so views like this are very useful! [WPW006616] unlocated. Oblique aerial photograph. 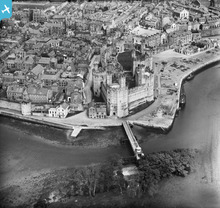 Fantastic View of Caernarfon Castle, any ideas when this might have been taken? 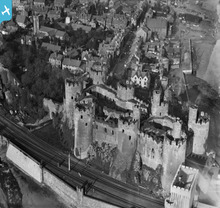 [WPW009497] View of Conwy Castle, oblique aerial view. 5"x4" black and white glass plate negative. A special day for Conwy Castle, hosting a visit by David Lloyd George. 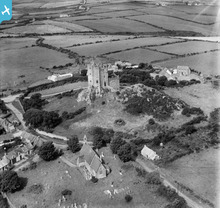 [WPW040088] View of Roch Castle and Castle Farm, Roch, Pembrokeshire, oblique aerial view. 5"x4" black and white glass plate negative. 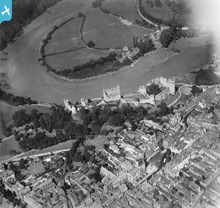 [WPW029271] View of Chepstow showing castle, 1929, oblique aerial view. 5"x4" black and white glass plate negative. Chepstow castle before the restoration work, I helped out at the 'Medieval Mayhem' event in September 2011, where the re-enactors encampement was on the day would have had a tree in the middle of it in 1929! 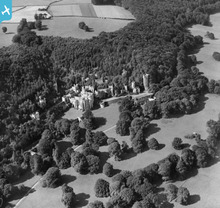 [WPW040134] General view of Gwrych Castle, oblique aerial view. 5"x4" black and white glass plate negative. One for the collection - Castell Dinas Bran, Llangollen. Taken on 4 April 2007. My profile pic is also Castell Dinas Bran taken about 3 years later in 2010.